Desperately Seeking Adventure: One Year in Beijing, China! One Year in Beijing, China! The fact I have now been in Beijing, China for one year absolutely blows my mind! Looking at the second six months during my Beijing journey won't be difficult, that summer/autumn period had me very busy indeed! Getting on a jet plane to see my first niece was the best, I have been getting into town more! Keeping it real, that Beijing has not wasted my time! 2018, yes! The grind of my training course had me exhausted, holding on for one more day it brought my weekend break to Datong, Shanxi. Taking off before it was barely morning was a relief, to be out of the city that was getting me crazy felt great! I loved my time in Datong, the tour allowed me to see all the relevant sites within the two day limit. I was unknowingly on the verge of a big change. I had been at my ever-changing campus for almost seven months, from the first class as an English teacher got me questioning things but that lead position got me reevaluating things. Datong took me out of this chaotic space, finding solace in a city that was less than international was the tonic. The 'Hanging Temple' showed me something that I had seen on a documentary about China a few years previous, to see it in real time motion was ace! Being in the present moment has took a lot, Beijing has kept me alert! B! 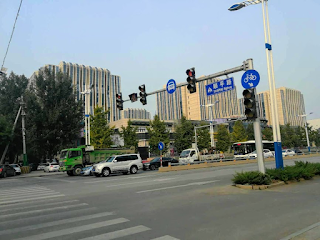 Datong lifted me a little, I was about to embark on a one month summer training that would take me out of my current class onto another adventure or challenge if I wanted to see the situation from a different slant. That month was insane, travelling for four hours per day to and from the training had me and my two Montessori besties dog tired and then some! The training was berserk in that moment but its all paid off, I made peace with that situation because I had to see what was really important to me. Looking towards a rainbow, would I find a shiny pot of gold sitting at the other side? Quite possibly, yes! 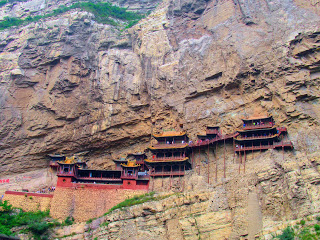 Datong's delights seemed like a million miles away during those crazy long days but August brought a blessed beginning. That rainbow produced the goods, I found myself surrounded by a nice vibe. The summer had so been mad, a learning experience nonetheless, getting my bags packed it was time to fly England bound! That mammoth journey had me flying and then some! Home was short but very sweet indeed, seeing family was great but to meet a little lady called Orla Rose was the icing on the cake! Having the call on my 27th birthday sealed the fate, I was going to become an uncle for the first time but due to my China location I missed the birth. Jetting home at the next possible date had to be done, my Cathay Pacific flights took me from Beijing to Manchester via Hong Kong, the flights were long but the journey was well worth it! Getting back to Beijing ushered a new start, embracing the rainbow gave me the chance to put my new found experience and knowledge into actual practice. Things had been given to me at the end of that July situation, those things weren't going to get me down, restructuring things for the final time I said goodbye to the thing that had occupied so much of my spring and summer, it had been worth the madness! I finally had the time to apply the knowledge. Get it now! Getting into the city centre of Beijing became a lot easier during September, I had my weekends back and with that freedom I was able to get back to my nightlife antics at the weekend on a more regular notion. I knew more places to shake it down at, a certain place called 'Kai' took me into more craziness but it was all beautiful to me! Houhai and Beihai Park showed me another side to Beijing, it was modernised history with a Hutong thrown into the mix, it turned a lovely autumn weekend into something very memorable indeed. I felt that the month flew past, it was a chance for me to work hard to improve the English Corner that I had adopted in that new rainbow coloured classroom. Getting my head into the game allowed me to enjoy things a lot more, it was sure with life's dramas but things were more manageable, those weekend free felt so good! I needed my new visa renewed because an Indian holiday had been booked, getting it back before Yinchuan was the one! SK, J! Yinchuan brought some western charm, it had only been a hot minute since I had got back from my Wuhan/UK holiday! Wuhan was a dream, it was a weekend that allowed me to destress and be appreciative of the journey I had worked so hard to experience, even if it had been mad I felt blessed to go back to the beginning after getting to Beijing! Yes, I got myself to Ningxia Hui Autonomous Region for the Mid-Autumn Festival. Seeking something Halal gave me life, the Xixia Tombs had a backdrop to die for! That Hui Muslim City impressed me much, giving me some amazing food to sample was one of the many things that I loved about that trip! The Nanguan Mosque restored some calm in my life, it was the place that gave me the inspiration for my first Montessori dress up works. I knew that from that moment it was time to turn the stakes up! September was full of blessings but I was ready for Seoul, South Korea B! Booked well in advance, it felt correct to be taking off during China's National Day holiday! I had missed the previous years holiday due to visa shenanigans but I was pulling out all the stops during 2018s 'Golden Week!' Going International I booked up my flights in April before the prices went sky-high! Touching down into Seoul felt liberating, I had left China for the first time since my return and it was right! Seoul took me under its wing, it had me crazy in the best way because the Soju was dirt cheap and damn right strong! Itaewon had me doing bad things once the sun went down, seeing the city with a hangover for the most part was hard work, those nights and mornings had all my energy! Seoul took me by the hand, it forced me to get rid of the baggage from the previous months and to embrace that moment, things were all coming good and in actual fact it was all a lesson! The autumn needed to be present, I had work to do before turning 28 years old! Oh, Montessori was the only way! I had to find a new place to live, a certain landlord wanted to raise the rent to an amount that I wasn't prepared to pay! Finding a place closer to my new campus had all that I needed, cheaper and outside of the McDonald's delivery radius was just fine for me. The move wasn't stressful in the sense I was moving a few miles down the road, it was the communication with the first removals guy, not today! Living in Houshayu has so far pushed me to speak even more Chinese, my language skills have been pushed to the limit! I am ordering more and more on Taobao for my English Corner, having to communicate with the delivery workers isn't easy at the best of times but its given me the chance to practice that Pinyin! November crept in, being on the flight path gave a Birdseye view that reminded me that I had only touched down one year previous! Work wasn't without those everyday challenges but I had my materials! I would be a liar to say that the second half of my first year in Beijing was easy, it pushed me to my limits but with those hurdles I found one way or another to cross the finish line! I am in a place that I will negotiate a new figure, the kids are adorable in my current class, my English Corner is on fire! Datong was like a dose of medicine during a tough time, the motivation to reach Orla Rose gave me life for certain! Beijing has become a lot more familiar to me and with those Chinese language skills stepping up a few levels I am slaying in the areas I need them! A new chapter is on the horizon, leaving my boozy week in South Korea behind me I look back on my memorable reunion with Wuhan back in August 2018, it was soberingly out of control! Let's get it together, India and the DPRK are in my sights and I am slaying the competition with my next level approach to work! Beijing has pushed me in the right direction this year, getting me ready for 2019 in the capital!